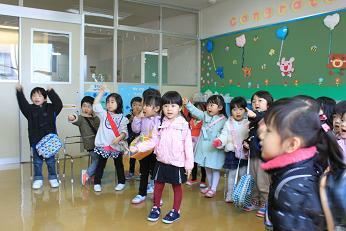 Today was the first day of the school year for Class 1 and everyone did such a fantastic job! We enjoyed playing with blocks, cars, toy food and puzzles in the morning, then it was time to discover how to use the IYK toilets. 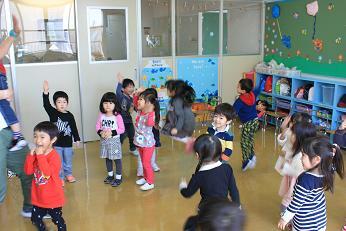 After singing the “Good morning” song and collecting our stickers from the Class 1 puppets, Peter and U-chan, it was time to have fun exercising. There was just enough to play a short moving game before it was time to go home. Well done everyone on a great first day! See you all tomorrow for lots more fun!